And here is one of my favorite shirts from Shirt Woot! 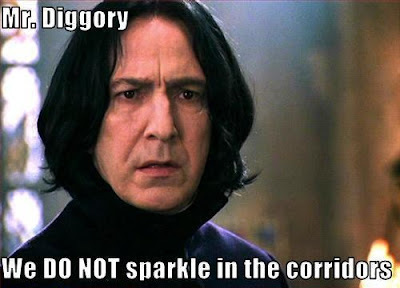 No, I do not hate Twilight - I'm a librarian. It got people to read who didn't read before. HOWEVER, I was raised on Bram Stoker, Anne Rice, and honest to goodness horror novels. 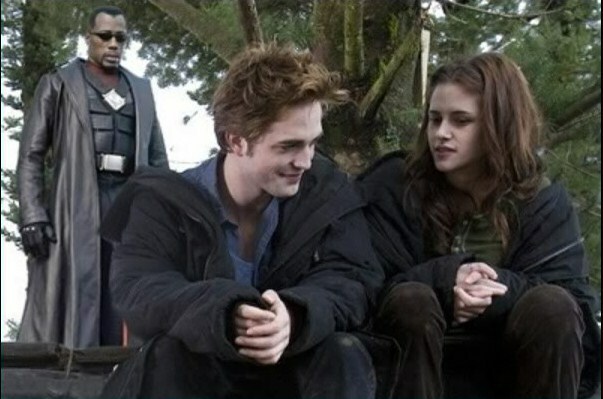 Seeing vampires as boyfriend material makes me giggle. I will say I did get a BIG kick out of the Vampire nonsense pics in the post. 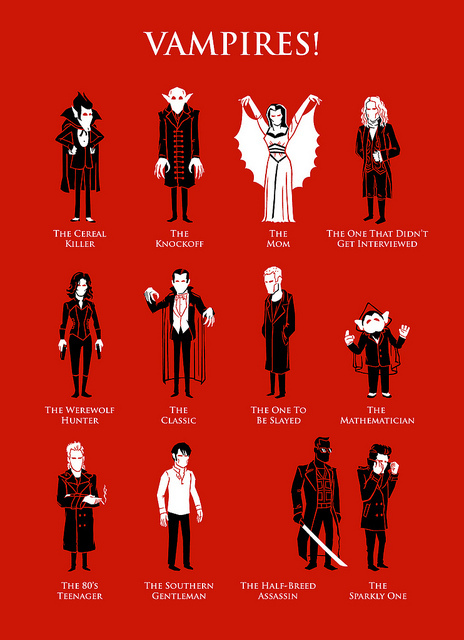 If anyone is a well read vampires you would get a good kick out this post. I read the first 2 books of twilight and I just could not continue the series....well for now at least. 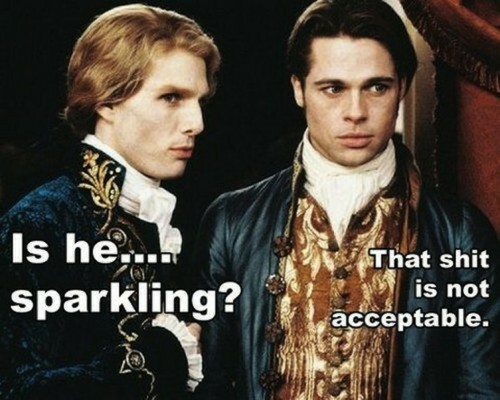 I love vampire nonsense. 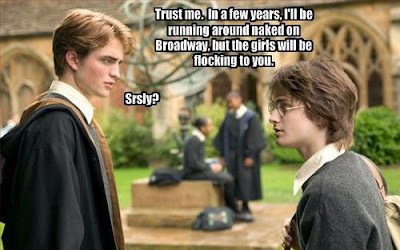 I do not particularly care for sparkly vampires. And yeah... Eric Northman...right there with you. This was a great post. 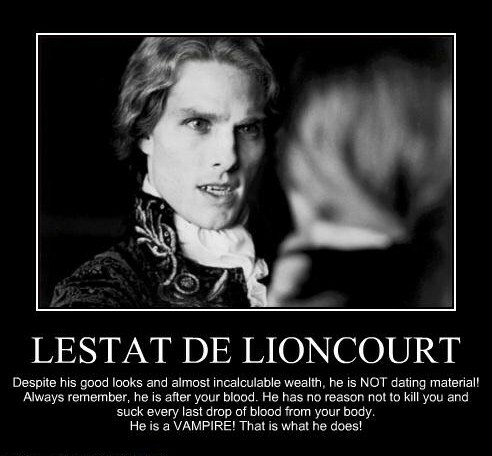 I'm more into Anne Rice than Stephanie Meyer's vision of vampires. I read the first book to see what all the hullabaloo was about and I couldn't go on. Though, guiltily, I have seen all the movies. I'm so ashamed! God, I SO agree. 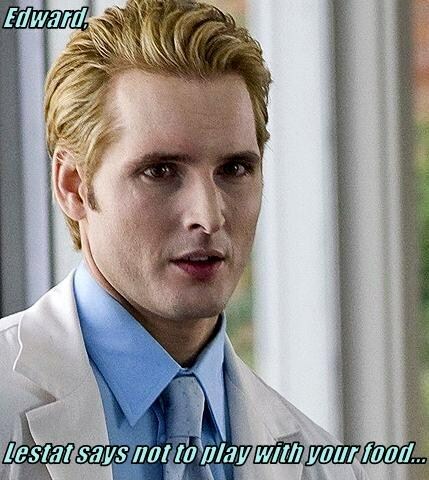 Eric Northman...YUM. He and Angel from Buffy the Vampire Slayer are the only two date-able vamps. 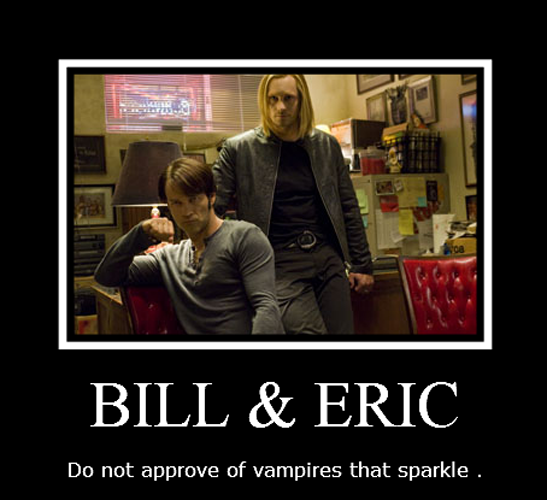 And real vamps DON'T sparkle. Snap we both have Vampires today! But really, was there an alternative! Love this one! I tend to agree---vampires should NOT sparkle. That's just wrong. bobbi c.
Nice bit of fang in throat. However, for vampires in general, you might want to include the spoof that combined "Twilight" with "Abraham Lincoln: Vampire Hunter". Photoshopped image of one of the Twilight "sparklers" being chased by Abraham Lincoln, who is wielding a long-handled axe.